This week, one of my highly anticipated movies of the year comes out: The Hunger Games: Mockingjay Part 1 comes out. (Don’t get me started on the fact that they broke up this book in half. It was my least favorite book of the series and it wasn’t even that long! $$$$$$$) Then next month The Hobbit: The Battle of the Five Armies arrives in theaters. (OMG. Don’t even get me started on how there are THREE movies for one book) I’m super excited for both of them. I don’t know the exact statistic but it’s safe to say that a lot of movies made are based on books. I love when books I really enjoy turn into GOOD movies. There is something both very satisfying and slightly disappointing about seeing your favorite book turn into a movie. The thing is that reading a book is a very personal experience. Everyone has their own view of how they visualize the story, the characters, the settings, etc. Even how you would pronounce things and names can vary from person to person. So a movie basically takes the movie creators’ interpretation of how they viewed the book and puts it on the big screen. It doesn’t mean that what is shown is canon but it does become the main visual guide of how the story will be remembered. The hardest part with book to screen adaptations is how faithful the movie will be to the book. I understand that the two are completely separate entities. You will have people going to see the movies who have no interest in reading the book or have no clue that the movie they are watching is even based on the book. The movie makers have to make these people happy so they have to make the movie so that this audience is able to follow and enjoy the story without being lost. At the same time, the die-hard fans want to see EVERYTHING and they will know when you messed up something or included things that make no sense at all. There are some movies where I was ok with the changes because it makes sense. Sometimes there are scenes that cannot be transferred from words to screen. This also helps when the actual author is either the screenplay writer or is consulted for help with the script. Then there are times when it makes absolute no sense at all why things were added or left out. It’s almost like the people making the movie forgot that it was a book that made it possible for them to do this and that fans of the book are the reason why it was popular in the first place. I will say that I absolutely cannot stand when a film reviewer bashes a movie based on a book for doing a certain thing….and it happened EXACTLY like that in the book. Again, as I stated I realize that the book and movie are two different things. But if Harry Potter is annoying you because he’s all teen angsty and you give the movie low marks for it because it doesn’t fit with the other whimsical movies, then sorry for you. That’s what happened in the book! Read the book! 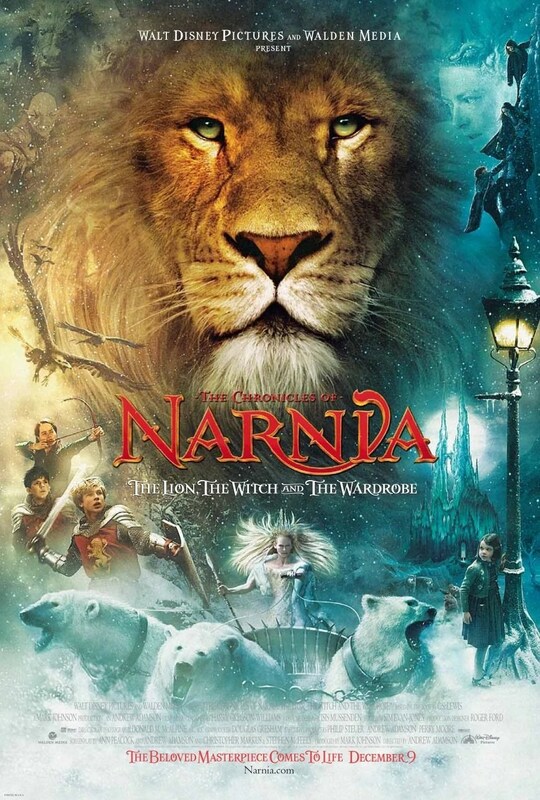 I’m not going to talk about the bad movies based on books I loved because it just makes me sad that they destroyed what could have been really good (Chronicles of Narnia: The Voyage of the Dawn Treader *cough cough*). Both are equally moving and I tear up EVERY DAMN TIME I read or watch. There are some things changed but as Amy Tan was involved with the screenplay I am ok with this. Yes, I know that the 5 hour TV miniseries may be better. But MOVIE wise, I adore this version. Yes things are shortened but for me this is a beautiful adaptation. 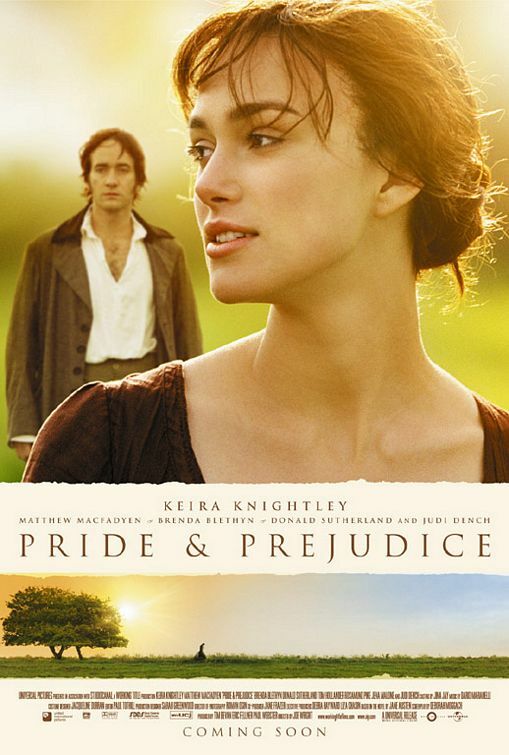 I love the scenery, the music, the camera work, and I ADORE Matthew MacFadyen’s Darcy. 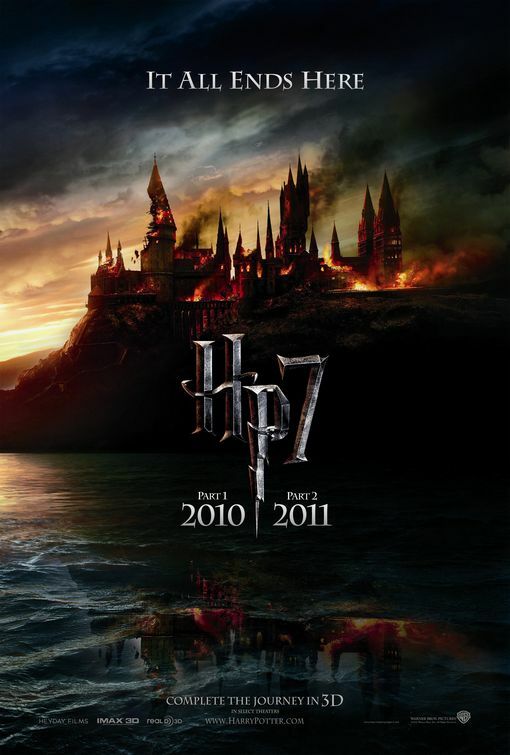 The first Harry Potter movie was great (I actually watched it BEFORE reading the book, I know I know) but the last two movies for me REALLY got to the heart and soul of movie. It is the only time I fully endorse splitting into two movies because there is so much they couldn’t leave out. I adore everything about this movie. It is exactly how I wanted this movie to turn out (Sorry old BBC production). Sadly it went downhill afterwards but this one is just glorious. Almost everyone had to read this book for high school. And this version does a sensational job of capturing the Roaring 20s. 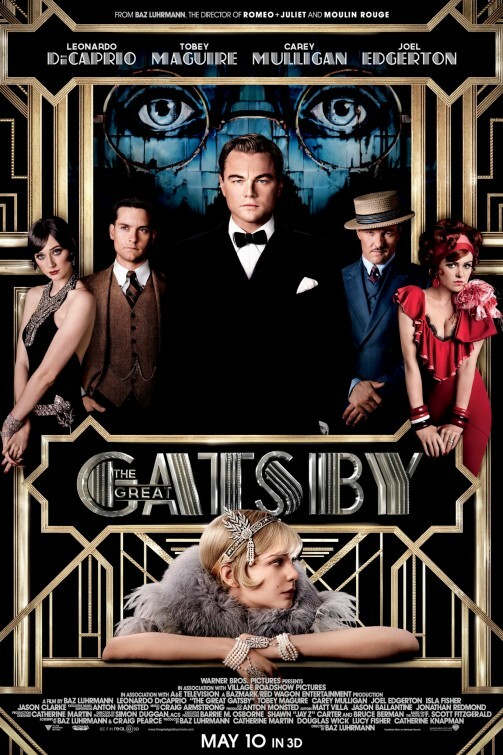 And who better to play Gatsby then Leo? The scene of him with the champagne/fireworks alone is worth it. Words cannot describe how much I love this movie. Everything about it is perfect (other than the fact that Jo rejects Christian Bale. WHO REJECTS CHRISTIAN BALE??) and it is one of my favorite adaptation of ALL TIME. 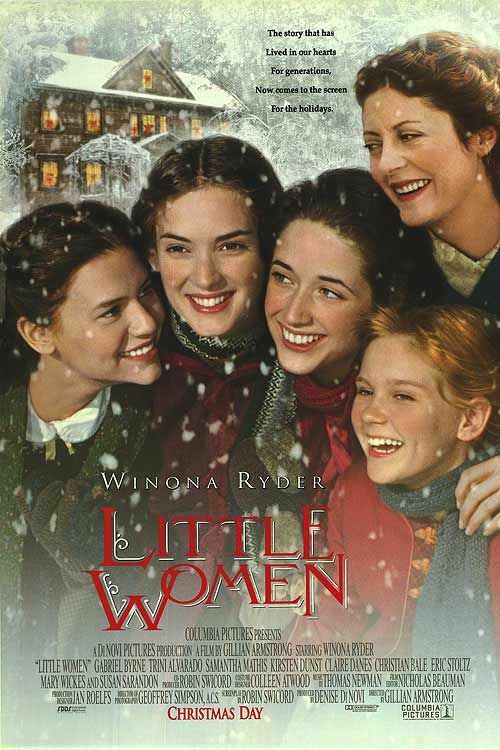 I am looking forward if/when I have a daughter and we can read the book and then watch this together. SO GOOD. What are some of your favorite book to movie adaptations? What’s a good book that should be turned into a movie? Great post 🙂 I saw Mockingjay and loved it, I think it’s a much better movie than it is a book. A great series that I think would make for an epic movie or mini-series would be the Black Jewel books by Anne Bishop.